Fruit orchards are a little piece of heaven on Earth, and having one of these is like a dream come true, because you can munch on your very own fruits. The best thing would be the fact that you will always have organic fruits on hand. But, if you live uptown, fruit orchards are something you can only dream of. No, that’s not true. You can still have your organic fruits, but the cultivation process is slightly different. You need a few amazing hybrid sorts and some space. Some like to call these columnar fruit trees or urban fruit trees, but you can also find these under the names Minarettes and Pillarettes. The marvelous fruits grow in clusters, and the trunk of the tree resembles a spire. People love these trees for their sophisticated appearance that fits every urban area. Place these at the entrance of your garden or use them to decorate your porch. Having a few of these means that you’ll be able to enjoy the pleasant aroma of your own organic fruits. 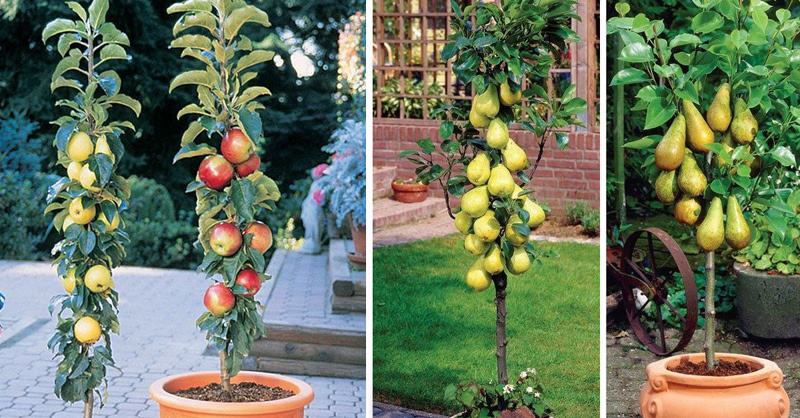 How to grow your own dwarf fruit trees? The Minarettes are easy to grow. They grow well in USDA zones 4-8 which means they tolerate various climate conditions. However, you shouldn’t grow one of these if your hometown is surrounded by extremely hot or cold weather conditions. The dwarf trees need plenty of sunlight and regular watering. But, be careful, the soil should never be too soggy or too dry. And yes, high-quality fertilizer is a must. Space the containers about 2-3 feet apart. Always cultivate two different sort, as this would provide cross-pollination, and the tree can fruit well. Clip off the weak and damaged branches to make the tree stronger. This will also allow you to have beautiful fruits. Do this regularly in the tree’s early stage of growth. You don’t have to do the clip-off thing that often when the tree grows enough. It throws out amazing pink blooms, and your guests will love it. “Sylvia” will be the main attraction in your garden. Origin: Gisella 6. 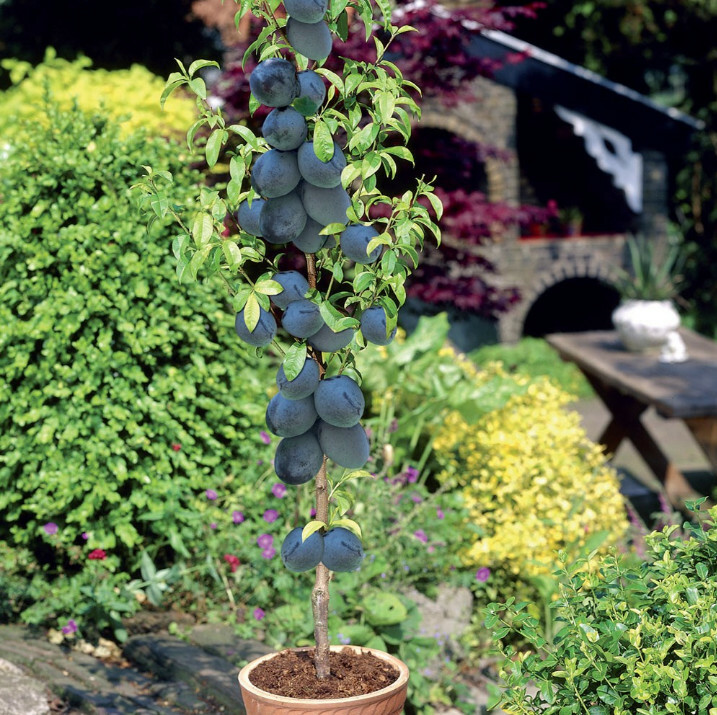 Grow it to enjoy succulent and aromatic purple plums. Look for Ferlinain. 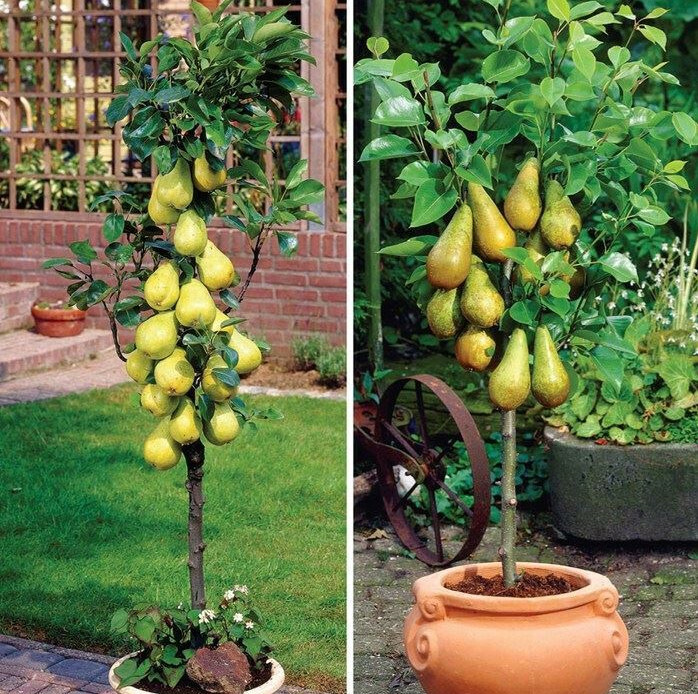 It will give you the tastiest aromatic pears. Try Quince A. The delicious red apples are super sweet, and fit for juicing. The Rootstock is M27. These are a nice option if you’re looking for a variety that can be stored for a longer period of time after the picking procedure. It doesn’t require fancy cultivation. The Rootstock is M9. These miniature apple tries are also available for sale. The Urban Apple trees or Colonnade apple trees give crisp apples, and you can grow them in a large decorative pot on your porch. Some like to plant these in their home garden. The beautiful narrow trees grow in an upright direction, and the mature tree can grow up to 10 feet high and 24 feet wide. You will definitely love the pink and white blooms in spring, and the foliage throughout every season. If you’re worried about the harvest, we guarantee that you’ll pick big aromatic apples every year. You can munch on your own fresh apples, but these also work well in sauces and jams. The mini fruit trees are worth every penny. 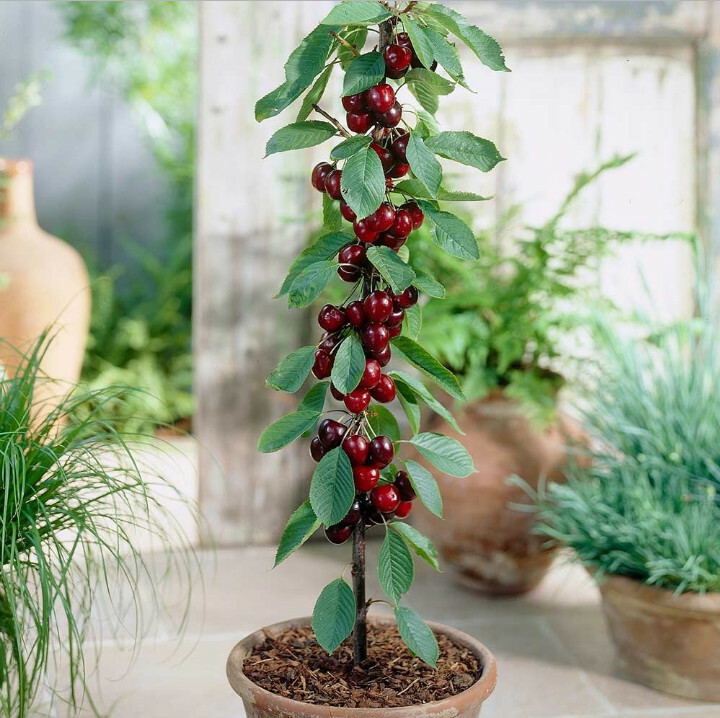 You may find these pricey, but you’ll get a decorative tree that will grows edible fruits for at least 20 years. Beware: These Light Bulbs Cause Migraines, Anxiety and Even Cancer. This is What You Need To do Immediately!